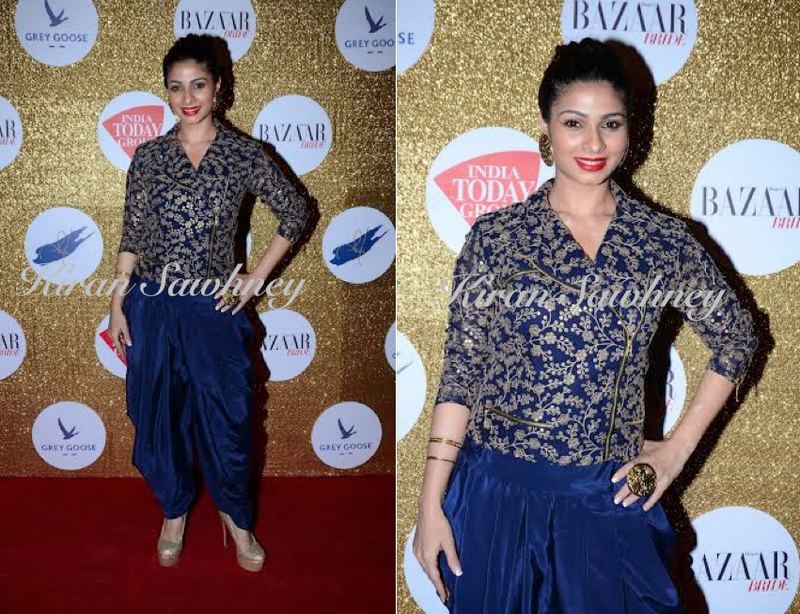 Tanishaa Mukerji attended the 1st anniversary bash wearing Zulekha J Shariff outfit. It has harem/dhoti kind of pants with an embellished bikers jacket. She teamed it with jewelry from Minerali and Louboutin shoes. Red lips and a top knot finished her look. We cannot say that we are big fans of this look.